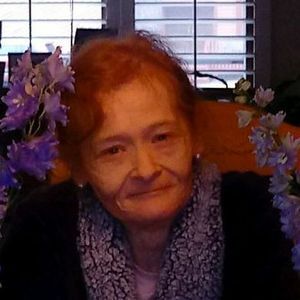 Ana R. "Gina" Scaccio, age 51, of McHenry, passed away Sunday, March 31, 2019, at her home. She was born March 23, 1968, the daughter of Hans Gygli and Joyce Olson, in Los Angeles, CA. Gina loved driving her car and being an over the road truck driver. She will be greatly missed by all who knew her. She is survived by her children: Richard, Stacey, Katie, and Eric; cherished grandchildren: Tenlee, Paisley, Deacon, and Carter; dear mother and step-father, Joyce Olson and Juan Jimenez; and beloved siblings: John (Karen) and Sara. She is further survived by special extended family and friends. She was preceded in death by her father, Hans Gygli and brother, Joe. Add your thoughts, prayers or a condolence to Ana's guestbook.